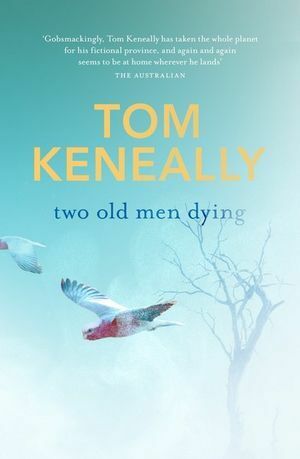 Scrolling through Facebook, flicking mindlessly from app to app on my phone, even choosing bad TV over books, anything rather than read when I was fifty pages in to Tom Keneally’s two old men dying, didn’t bode well. 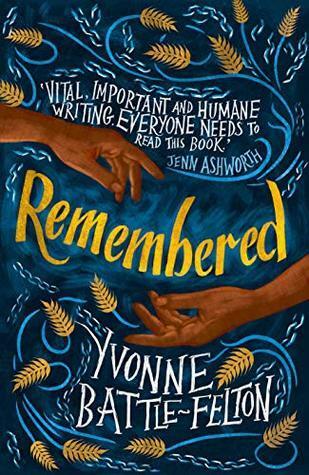 That tweet shares this post from NZBooklovers: How to read more in 2019 It’s worth checking out. I’m pretty good with the comeback, though. I told John there was no “should” involved. I chose it. No-one else. I wanted to read this book. Which was true … enough. But there may have been a bit of the “supposed to” in my choice: Keneally’s famous after all. And I do own one of his books, the famous one, Schindler’s Ark, yup the one that won the Booker, and you guessed it: I’ve never read it. I’ve tried. Twice. Curiously, I don’t remember how two old men dying came on to my radar. And I can’t find a mention of it on any of my favourite book blogs. I was intrigued, however, by the title. I’ve enjoyed a few books with the theme this title suggests: characters grappling with the demands of that last life stage Erikson summed up as Ego Integrity vs Despair. Margaret Drabble’s The Dark Flood Rises, and John William’s Stoner are two of the best. And I thought the premise of Keneally’s book, the parallel stories of two Australian men, Learned Man and Shelby Apple, 40,000 years apart and each at the end of their lives, held a lot of potential. But for me it didn’t work. I persevered to the end, thinking this will come good. Keneally will somehow pull it together; I’ll turn that last page with a new insight, a different way of thinking about things, another perspective on life. What doesn’t work for me? The politics behind it. Tom Keneally opens with a thinly veiled defense of his novel, almost an apology for intruding into stories which Keneally says he would otherwise consider the territory of Aboriginal writers. Do it, or don’t do it, I thought to myself. Don’t write it and then try to excuse and appease. In the end, this was a work too close to cultural appropriation for me. two old men dying switches between the points of view of Learned Man, a prehistoric Australian, and Shelby Apple, a modern day documentary maker. They tell very different stories, connected by the discovery of Learned Man’s bones and Shelby’s involvement in the making of documentaries about this discovery, and then his lobbying to have those remains returned to the land and the people to whom they belonged. In this novel the switches between points of view jarred me out of the story and back to my not-so-smart-phone. Keneally didn’t make me care enough. I wanted to. I felt like I was supposed to. Afterall, he was grappling with big stuff: the beginnings and the possible future of humanity; how to live a good and purposeful life; colonisation. Matters I am interested in and I do care about. But there on the pages of his book, I cared only just enough to keep turning those pages. There was a lot like this, particularly from Shelby. It didn’t work for me —a matter of taste, I suppose. What does work for me? I think the idea is a good one: the connection between two people millennia apart. And so is the other central idea—that as humans we might be capable of a cognitive leap forward, one which allows for more compassion. I did want to know how it all turned out, but only just enough to keep turning the pages to the end. 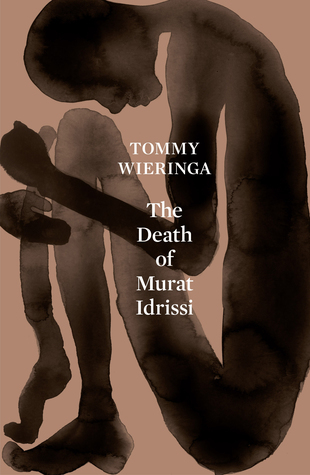 I realised in reading this book I have never read any work by Aboriginal Australian novelists. I don’t even know who is out there. Can you recommend any? Some books you just can’t get into. Sad really. Well done getting to the end, must admit if I’m not grabbed in the first chapter I just give up. Thanks for being honest about this one. I did enjoy “shepherds hut” and towards the end it became a “couldn’t put down” book. Yes, Shepherd’s Hut is much more difficult to put down. I’m looking forward to seeing how it does in the Indie Book Awards. Will totally give this a miss but can I put my hand up and recommend Two Old Women by Velma Wallis! Now there’s a story that leaves with insight and something to think about. I’m looking forward to reading this Claire. Your recommendations are always spot on! Ive thoroughly enjoyed The Baghdad Clock BTW—and that’s another book that leaves the reader with plenty to think about. Hi – love the part about adjectives overused is like too much salt for some of us. Thanks Yvette. Writing a novel is a very demanding thing to do, regardless of age and I’m not sure how relevant age is to the outcome. Tom Keneally’s style didn’t work for me in this book, and it didn’t in his prize winning Shindler’s Ark, either, and that was written nearly forty years ago.